On the whim that someone may care; a tidy list of my current reading adventures… with links of course. No doubt we’ll soon lend a word of our thoughts on these writes, but I can tell you; all three authors are excellent writers so you don’t have to wait on our appraisal. Go get em’! Tim Keller is steadily pumping out a series of works titled “Encounters with Jesus.” He’s on something like the seventh of these efforts, so you have some catching up to do if you weren’t aware of them. 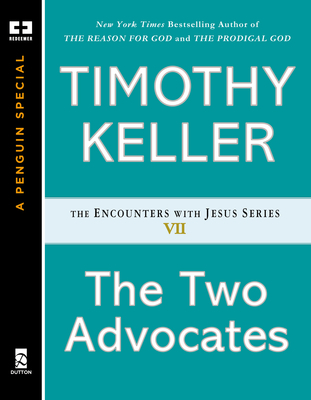 The most recent, “The Two Advocates” is a marvelous presentation of our two defense attorneys we have as believers. “Jesus is speaking to God for us while the Holy Spirit is speaking to us for us.” Awesome! These are relatively short reads, but packed with punches. A group of us men from Lighthouse are re-working our way through “Basic Christianity” by John Stott. This book reminds me of Sergio Leone‘s spaghetti westerns… it never gets old. I’ve barely cracked open “Jesus Killed My Church” by Randy Bohlender, but after a couple of chapters, I’m ready to recommend this one highly. 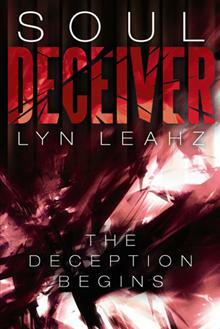 I am very grateful to have stumbled onto this author. 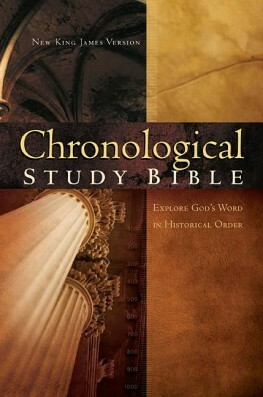 There’s a few more I’m delving in to, but I wanted to close with the recommendation of “The Chronological Study Bible” put forth by Thomas Nelson. This is the tool I’ve chosen for my read-through-the-Word this year. It is fascinating to read the Bible this way. The assemblers put a great deal of effort into aligning Scripture by time stamp here so that, as an example, when one reads of David’s persecution from Saul, a Psalm may be interjected that David wrote in response. It also is very helpful to read the gospels presented this way. You know well of my endeavor to read everything ever written… so, any suggestions from your vantage? This entry was posted in Books and tagged Basic Christianity, book reviews, Christianity, Chronological Bible, current reading list, John Stott, rebecca forster, Thomas Nelson. Bookmark the permalink. I finished “Reason for God” by Tim Keller. This time, I thought I would underline pertinent statements throughout the book…there are few unmarked lines in the entire book. I think anything he writes is good, RFG should be read by every believer. Thanks for the reviews MT! 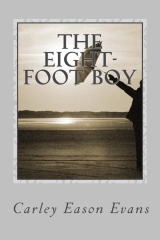 I have my copy of The Eight-Foot Boy, but haven’t started reading it yet. I’m currently reading through Dallas Willard’s The Divine Conspiracy during my devotionals. That’s going to take a while. But I’m in no hurry. During my sabbatical I am spending time reading. I finished reading In The Grip Of Grace by Max Lucado. I love reading anything by Lucado. I am also now reading a book he recommended called God’s Favorite Place On Earth by Frank Viola. It is about the only place on the planet where Jesus was not rejected. It is awesome and Lucado’s books always teach me something from his unique and entertaining perspective of the cross. Your quest reminds me of something Timothy Keller wrote…”“When you listen and read one thinker, you become a clone… two thinkers, you become confused… ten thinkers, you’ll begin developing your own voice… two or three hundred thinkers, you become wise and develop your voice.” May your endeavor be bountifully blessed to that your wisdom deepens and your voice strengthens; that you may continue to speak clearly and distinctly into our noisy world. The writer and theologian in you may enjoy The Sacred Journey by Frederick Buechner. It is a very short autobiography with these gripping words of intro as to why he wrote…” I determined to try to describe my own life as evocatively and candidly as I could in the hope that such glimmers of theological truth as I believed I had glimpsed in it would shine through my description more or less on their own…if God speaks to us at all in this world, if God speaks anywhere, it is into our personal lives that he speaks.” It is a beautiful example of how God can shine in His extraordinary way in the ordinary of our days. It compels the reader to introspection and to pick up pen and write. Enjoy.